Do you want to FAIL in your love life? The last thing you'd want is to attempt a fresh, new relationship and then self-sabotage your chances by re-creating the nightmares of the past – at least the parts YOU were responsible for. Guys, if you find your ultimate match, you need to be completely healed and emotionally free to fully enjoy the gift you’ve been given. This presentation is my best work in the area of psychology. It has been reviewed by a licensed marriage and family counselor for its validity. 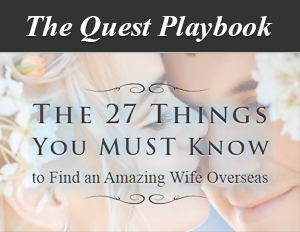 Do yourself a favor – for your future – and your future wife. Watch this presentation . . .